We begin with King James, who led the kingdom through a relatively peaceful era. James’s mother was Mary, Queen of Scots, who was forced to abdicate when he was just a baby. He became James VI of Scotland. Mary, Queen of Scots had been a devout Catholic, but she clashed with Queen Elizabeth I of England, who was Protestant. Elizabeth would eventually have her executed, dashing all Catholic hopes of Mary as her possible successor. Unlike his mother Mary, King James VI was Protestant and made an alliance with his English neighbor. During his reign, the Treaty of Berwick established Scottish support for England, and vice versa, in the event of any Catholic aggression. Since Queen Elizabeth I was unmarried and childless, the crown would pass to someone else, and that someone was James. He was the preferred faith – Protestant – and thus became King James I of England when Elizabeth died in 1603. Soon after, James attempted to unite Scotland and England on all levels, but in the end, most things were symbolic only. Scotland retained its parliament and separate economy. James, however, insisted that he be known in a much more unifying way as King of Great Britain and Ireland. James was a big believer in the divine right of kings (Dieu et mon droit) and was disdainful of Parliament. He even ruled without Parliament for a time, annoyed that they would not grant him the money he needed due to mismanagement of funds within his court. Despite his fiscal problems, James continued to be quite scholarly and intellectual. He wrote poetry and prose, and it is because of this king we have the Authorised King James Bible. James was held in high esteem by his people for his peaceful tenure. This peaceful era would fall away once his son, Charles I, took the throne. James passed on his dangerous appreciation for absolute rule, and Charles took it very seriously. Charles I made more than a few enemies, especially for the way he accrued his wealth. The king derived money through the granting of monopolies and reintroduced many unpopular taxes that angered a lot of people. As if that wasn’t bad enough, he rankled the Scottish nobility by employing the Act of Revocation – all gifts of royal or church land made to the Scottish aristocrats were revoked. To further rub salt in the wound, any continued ownership of said lands would be charged rent. Charles’s defiance of Parliament during the Irish Rebellion didn’t help his reputation, either. He was tried for treason and “other high crimes” for his behavior. Charles staunchly refused to enter a plea when asked – on the grounds that no court had jurisdiction over a monarch. The king’s successor, also named Charles, was declared by the Parliament of Scotland to be Charles II in February 1649. The English Parliament was none too pleased by this, and immediately passed a statute that made Scotland’s proclamation unlawful. The English republic was born via “An Act declaring England to be a Commonwealth” in May 1649. Power was now in the hands of the Council of State, which included that famous republican, Oliver Cromwell. He came to blows with Charles II during the Battle of Worcester in 1651, roundly defeating him. Charles abandoned England and fled to Europe. A new constitution, known as the Instrument of Government, was brought forward soon after. It effectively made Cromwell Lord Protector for life. With Charles out of the way and new powers in hand, Cromwell flexed his muscles. He turned into a dictator, brutalizing Ireland and became the kingly figure he so despised. He was in the position for life, chose his successor (his son), and was referred to as “His Highness”. Charles, meanwhile, spent the next nine years in exile in France. He was asked to return and reign as king after the disastrous rule of Cromwell’s son, Richard. 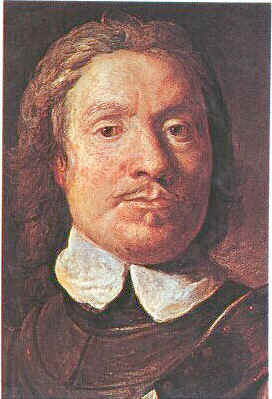 The younger Cromwell was forced to abdicate in 1659, taking the Protectorate with him. Charles II returned to England, and his coronation took place at Westminster Abbey on April 23rd, 1661. He was overjoyed to be reinstated as the rightful king, but his joy would not last. Charles’s support of France and his hand in the Third Anglo-Dutch War caused consternation among Britain’s political elite. They were also angry over the king’s increasing attempts to secure himself as an absolute monarch. Charles had dissolved Parliament four times in an attempt to establish a more moderate one! When Charles II died, the scramble began to find a successor, preferably Protestant. Charles never had any legitimate children, so the next in line for the throne was his brother, James (James II of England and VII of Scotland). James was exactly what the political and religious anti-Catholics feared: he developed very close ties to France and was pro-Catholic. So pro-Catholic, in fact, that he converted to the faith. The fact was not made public until later, but by converting, James annoyed Charles II so much that the king insisted that James’s two surviving daughters, Mary and Anne, be raised as Protestants. James had produced several children with his wife, Lady Anne Hyde. Only two daughters survived into adulthood – Princesses Mary and Anne. Mary, wed to the Dutch prince William of Orange, was set to be the next in line for the throne. When Lady Anne died, James remarried Mary of Modena, with whom he had a son, James Francis Edward Stuart. There was now a male – and Catholic – heir to the throne. The legion of anti-Catholic powerhouses now called upon William of Orange to depose James and sit on the throne as a Protestant king with his wife, Mary. On November 5th, 1688, William obliged by invading England in what became known as “The Glorious Revolution”. With this revolution, there was a permanent shift in power. The sovereign and the monarchy itself would be representative of the nation, but Parliament had now become a permanent feature of government and politics that could rein in any king or queen. James escaped to France, where there were sure to be friendly faces. This was declared abdication, and thus William and Mary took the throne of England as co-monarchs, crowned on April 11, 1689. This was a first in the history of the kingdom, and nothing like it has happened since. After Mary’s death in 1694, William continued as sole monarch. Her sister Anne was now William’s only successor. Anne had 17 children with her husband, Prince George of Denmark. After several miscarriages and stillborns, only one survived past infancy. They named their son William, and created him Duke of Gloucester. Sadly, he died at the age of 11 due to complications of hydrocephalus, or “water” in the brain. With a childless William III and Anne bereft of her heir, the Protestant succession looked precarious. The English Parliament refused to let the throne fall into Catholic hands, and so they passed the Act of Settlement 1701. The Act forbade any Catholic from sitting on the throne, and barred any royal from even marrying a Catholic. If they defied the Act, they were thrown out of the line of succession. When the Act was created, it put the Protestant Electress Sophia of Hanover in direct line to the throne. Sophia was a granddaughter of James I (VI) through his daughter, Elizabeth Stuart. Sophia’s father was Frederick V, Elector Palatine (Bavaria). Anne ascended the thrones of England, Scotland and Ireland upon the death of William III in March 1702. In May 1707, under the Act of Union, Queen Anne’s kingdoms of England and Scotland were united. From that point on, it was known the Kingdom of Great Britain. Queen Anne was a good 34 years younger than her successor, Sophia. Regardless, Anne, suffering from gout, died at the relatively young age 49. It had been mere weeks after the death of the 83-year-old Electress. Sophia’s son, George Louis of Brunswick-Lüneburg, became King George I of Great Britain. There were three more Georges in the Hanoverian line, followed by William IV, and finally Queen Victoria. Upon her marriage to Prince Albert of Saxe-Coburg-Gotha, the Hanoverian line technically ended. The dynasty became known as the House of Saxe-Coburg-Gotha until World War I. Victoria’s grandson, King George V, renamed the royal family to distance them from the anti-German sentiments that prevailed due to the war. Thus, the House of Windsor was born. What are the small jeweled portraits pinned to Her Majesty’s sash? These are royal family orders. Female members of the family receive them from the monarch. The Queen wears the orders of her father and grandfather, while the rest of the royal family wears her order. The Queen’s order is her likeness, surrounded by diamonds and nestled on a yellow ribbon. The family order of King George VI is pinned with a pink ribbon; King George V is blue.